Sectional Garage & Sectional Building Repairs and Improvements. Sectional concrete garages & buildings have been around for many years now and the well manufactured & constructed ones still have many years of service life left in them, they may just look a little dated and tired now; MPG Buildings can help improve the look and update the appearance of your existing sectional building through the following services. 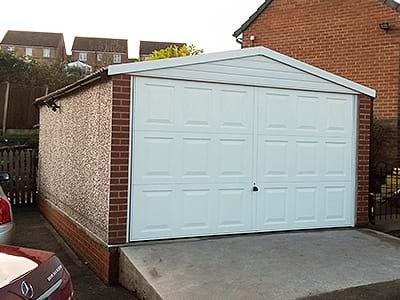 There is now a wide choice of garage doors available; you can chose from an up & over, sectional or roller shutter doors. There are different styles and colours with the option to have the door automated, giving access at the touch of a button and without the need to get out of your vehicle. MPG Buildings can organize to replace individual roof panels or indeed complete the removal and refitting of the entire roof. 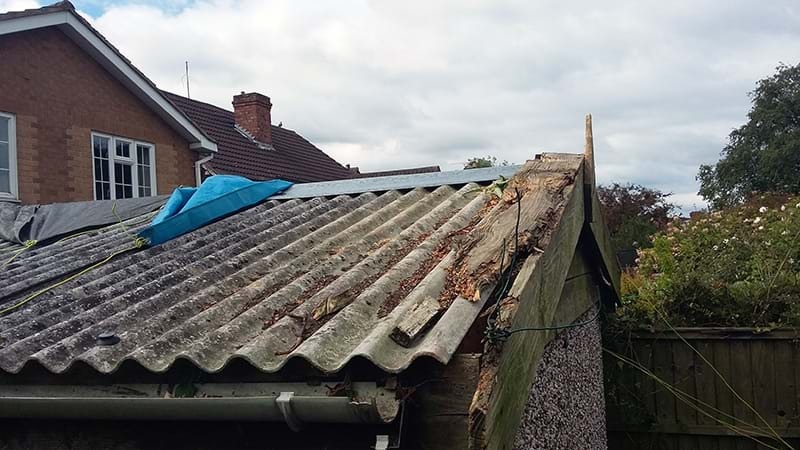 If the existing roof contains fibre asbestos material then in this instance we are unable to simply replace individual roof sheets, we would remove completely and fit a new roof; all work relating to fibre asbestos material will be carried out by our contractors who are registered as “carriers & brokers of controlled waste” and all work will be done in accordance with current Environment Agency guidelines. 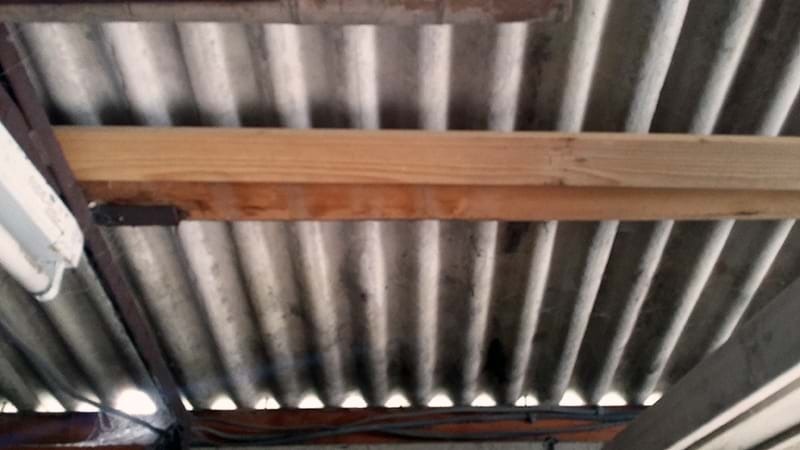 New roofing materials on offer are; galvanised steel sheets with either an anti-condensation treatment or felt underlining. Plastisol, box sectioned steel sheets, again with anti condensation treatment and available in a number of colours. 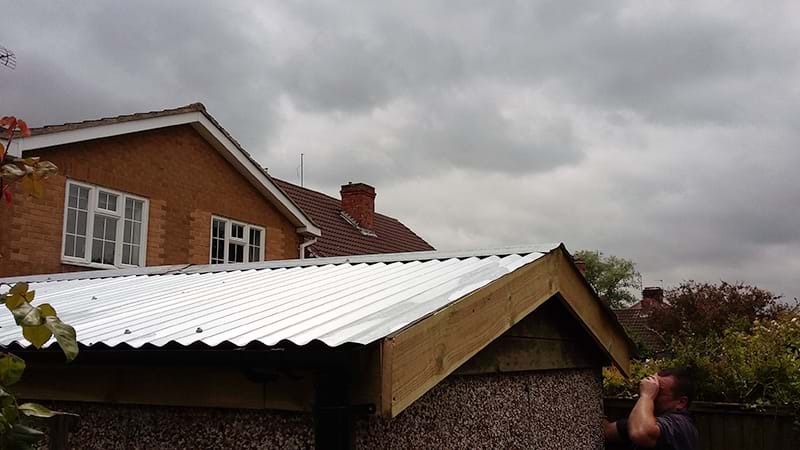 There are tile effect steel sheets with a granular finish, again in a choice of colours and these offer a superb aesthetic look to the apex roof of your sectional garage or building. 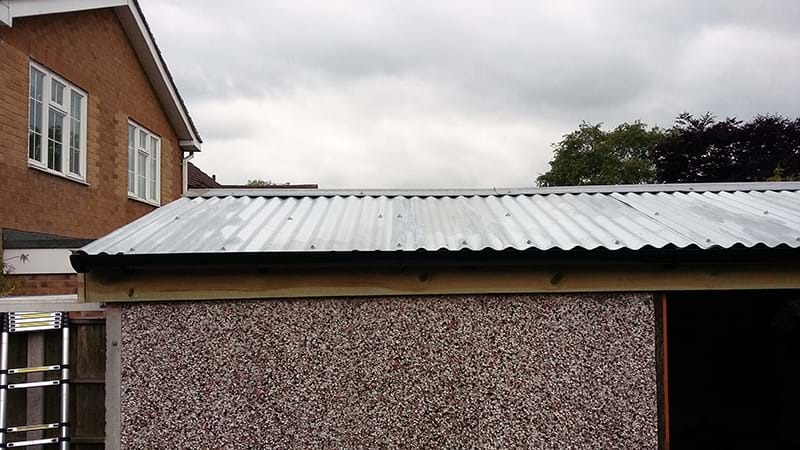 There are profiled fibre cement roof sheets with close fitting ridge caps and these also can be supplied in a variety of colours, should you wish to avoid a simple plain grey finish. 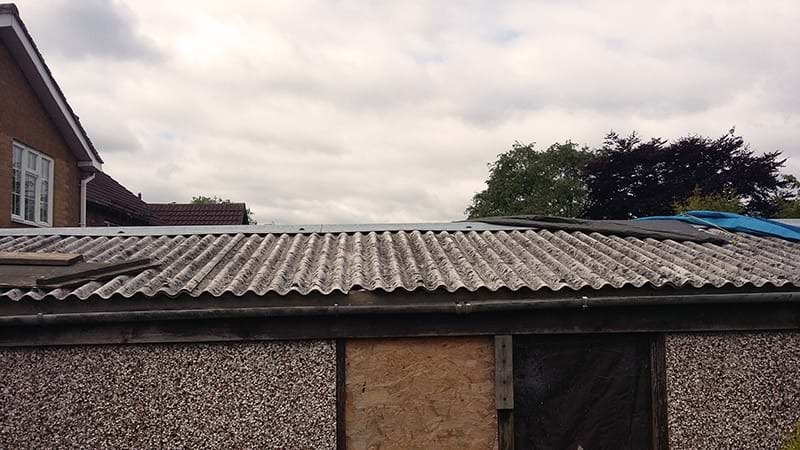 With regard to “Pent” or flat roofed buildings these can be re-roofed using anti-condensation treated steel sheets, offering the benefit of being larger sheets, which greatly reduces the need for over lapping; the galvanised steel sheets are more durable and will offer a longer service life over that of the original fibre profiled sheets. Translucent sky sheets can be used in a Apex roofs and offer a great way to increase natural light. MPG buildings can replace existing timber fascias & verge boards with maintenance free PVCu ones, available in either white or the popular “decograin” rosewood or golden oak finish and these really do improve the appearance of a building, whilst eliminating the need for repainting year after year. Pedestrian doors can be replaced with either timber, or to eliminate maintenance and add extra security there is the option for all steel doors (fully finished) or PVCu doors. Doors, including the frame, can be either 3’ or 4’ wide. Windows can be supplied as either timber framed single glazed or the much better double glazed PVCu units, offering security and low maintenance. 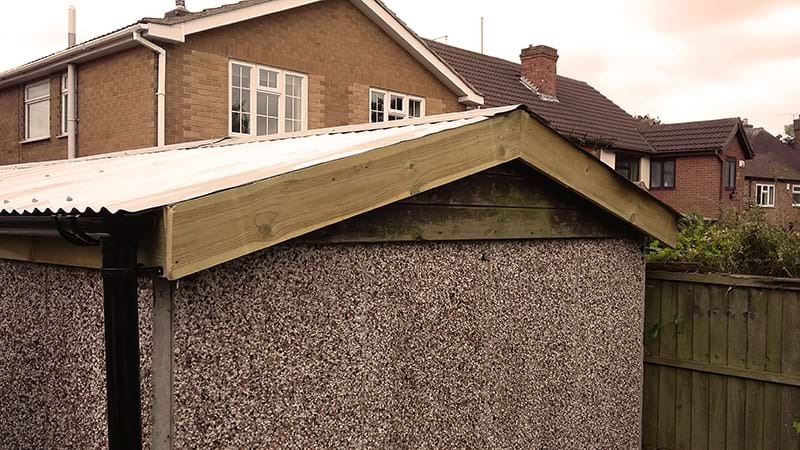 Replacing Damaged Panels or Extending Existing Sectional Garages / Buildings. If we can obtain the correct panels & parts MPG Buildings can replace damaged sections, under an insurance claim if required. 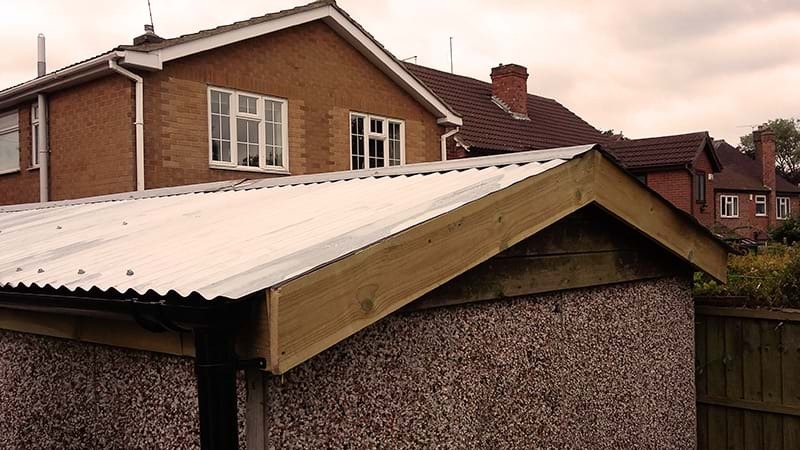 If your existing building is simply not large enough for your needs, then again subject to parts being available MPG Buildings can extend, widen existing sectional buildings, whilst also ensuring the required concrete base foundations are in place. If a reduction in a buildings size is necessary then we are more than pleased to carry out this project. With the demise of certain models and indeed sectional building manufacturers it may prove impossible to replace certain concrete sections for an existing building; in some cases we are able to offer materials which can adequately substitute for the original part. 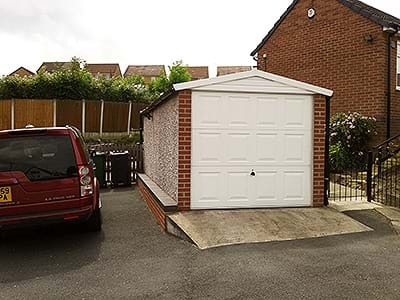 If your sectional garage / sectional building requires improvement or repair then MPG Buildings have the expertise and experience to carry this out professionally; we offer a no obligation, no charge site survey service and this is followed up with a written quotation based on your individual requirements; why not call us to arrange a site survey. Sectional Garage New Roof Case Study. 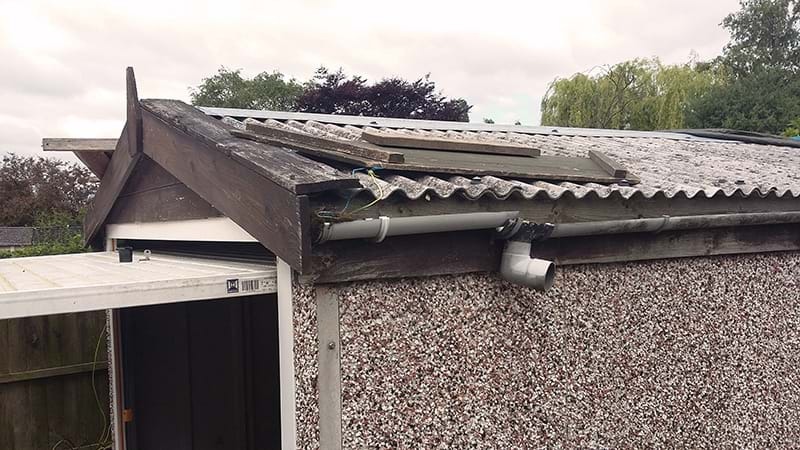 This was a sectional concrete garage with its original fibre cement / asbestos roof sheets which had suffered from storm damage; we were engaged to replace the entire roof and although profiled fibre cement roof sheets are still available it was recommended that we fit brand new galvanised profiled steel roof sheets, complete with a galvasteel ridge, this material was chosen as it offers superb long life service. 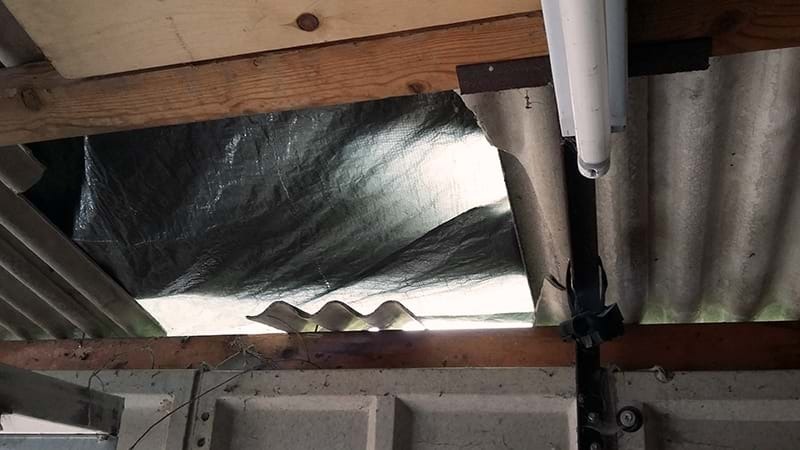 A membrane was first installed on the underside to act as a thermal barrier which will prevent the opportunity for moisture to form as condensation. If you would wish take advantage of our no obligation site survey service, then please let us have a few important details. Do you know the make of your garage? 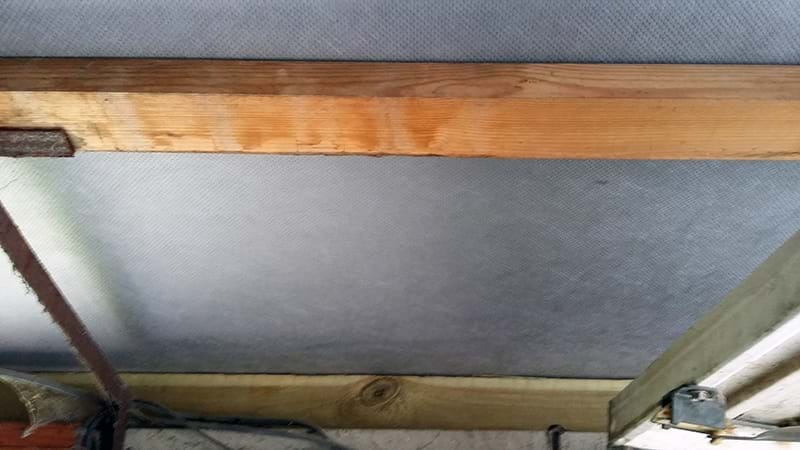 Type of repair work needed? Roof Style: Flat or Apex? If you are able to email digital images of your garage, then this would be very helpful.